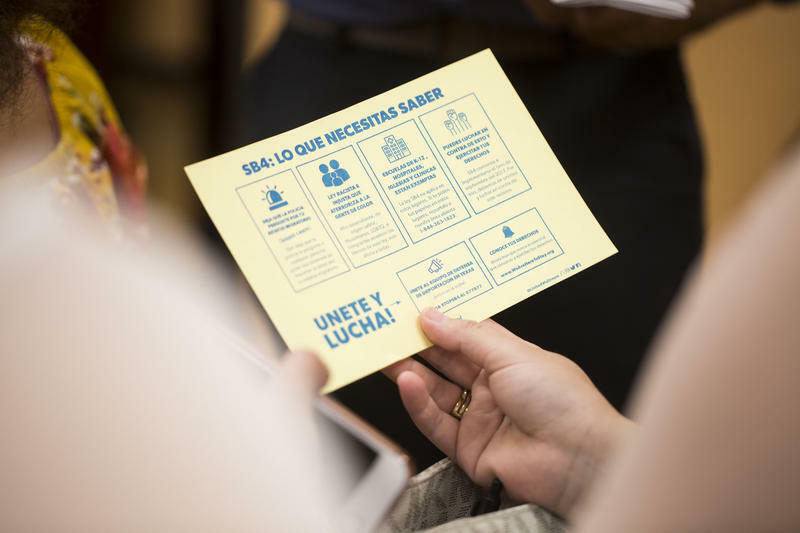 Immigrants are handed "Know Your Rights" cards at the Mexican Consulate last month. The cards explain how to respond to law enforcement if questioned about immigration status. The 5th U.S. 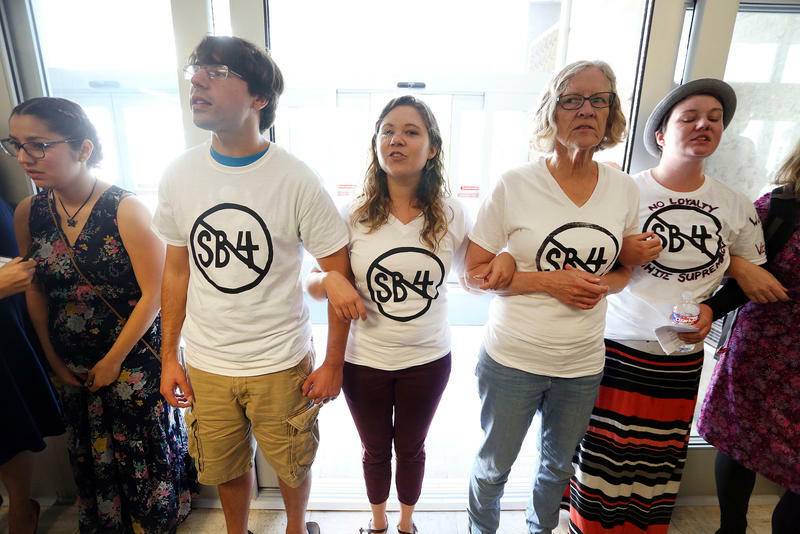 Circuit Court of Appeals on Monday reversed a temporary block on part of the law that requires jurisdictions to comply with federal requests to detain suspected undocumented immigrants booked into the local jail. Lawyers for the Mexican American Legal Defense and Educational Fund interpreted the ruling to mean detainer requests were voluntary. The Travis County sheriff, however, understood it to mean they were now mandatory. Sheriff Sally Hernandez updated her policy so that the county will now honor all ICE detainer requests. Estep said the leader of a local church also called him to say he saw a drop in church attendance after SB 4 was signed into law in May. When the majority of the law was blocked from going into effect last month, churchgoers came back. “We were just starting to see folks coming back to the church and now we’re afraid they’re not going to be coming back again,” Estep says the church leader told him. 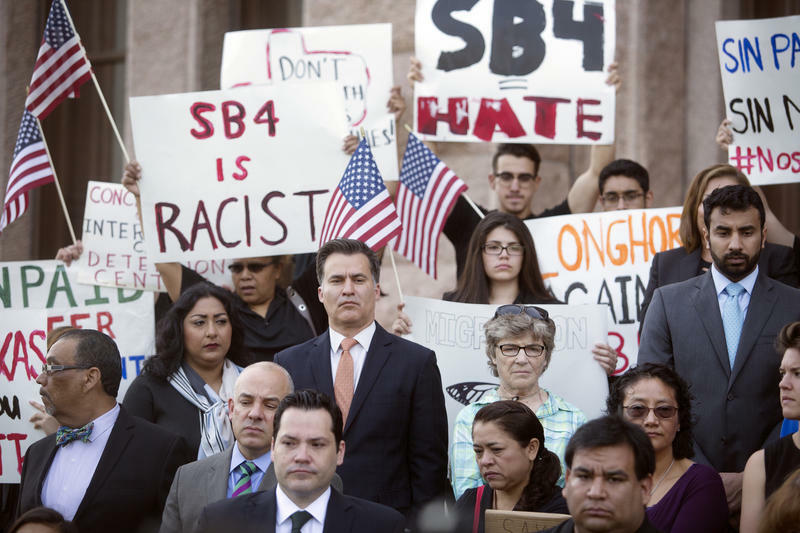 Bob Libal, executive director of the immigrants’ rights group Grassroots Leadership, said the constant fear of being deported can have an effect on peoples’ mental health. The Austin Police Department has had a verbal policy that officers will ask about a person's immigration status only if it's pertinent to the case – for example, in a case of human trafficking. Monday’s ruling didn't change the department's procedures very much. Officers will now track when and why they ask about immigration status. Libal said the fear of interacting with anyone who resembles law enforcement can also compromise physical health. “During the immigration raids here in February," he says, "we saw things like declines in attendance at school, declines in people accepting rides in ambulances." 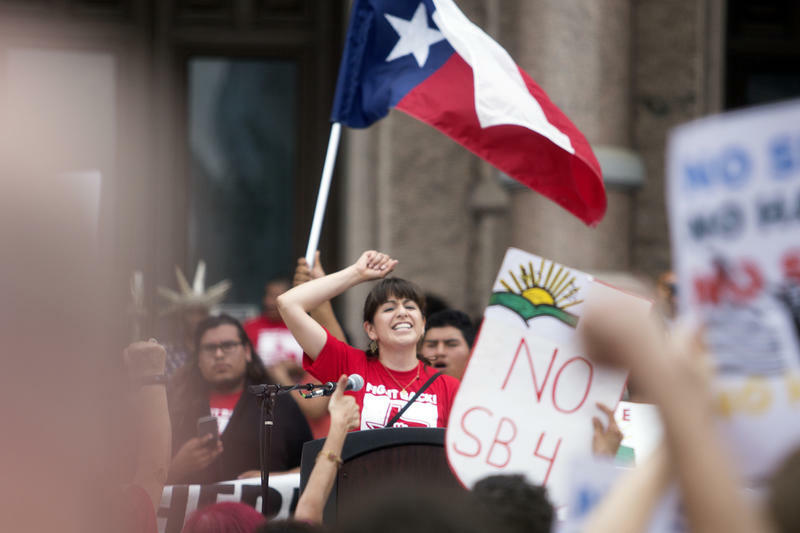 Oral arguments on the full case against SB 4 will be heard in November.